DublinTown welcomes proposed plans for mixed use development at Clerys Department Store on O’Connell St.
Today’s announcement by Europa Capital and its local partners, Core Capital and Oakmount, to redevelop Clerys department store into a mixed used development with a hotel, office space, retail and restaurant is exactly what the area needs according to DublinTown, Dublin’s Business Improvement District. 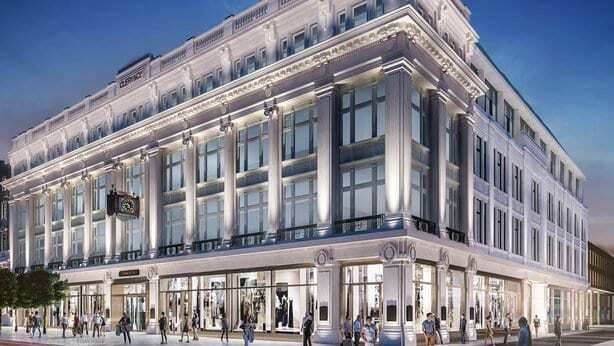 DublinTown very much welcomes this proposal for the Clerys site. This mixed-use development is entirely in keeping with our Dublin One Vision for the area. We see a development like this, including high-end food and beverage, office space and retail, being exactly what the district needs. Once complete, the office workers and staff will become increasingly important to the local economy. We look forward to seeing the site complete in 2020. DublinTown is currently working with key stakeholders in the area on the future of Dublin One. For more details on this click the link below.